Commercial Disputes are costing small businesses £11.6 billion per year, new research shows. One in five (20%) SME owners and MD’s admitted that they worry about facing legal action and view it as a serious issue for their company. • In the UK there are 5.7 million small enterprises. • 70% of these small enterprises are facing hefty legal bills due to commercial disputes. • Opting to use CIArb, a worldwide recognised dispute resolution service will help prevent small business from costly legal bills. Commercial disputes are reportedly costing small businesses up to £11.6bn a year in litigation fees, the Federation of Small Businesses has reported. These hefty costs are said to have affected 70% of SME’s between 2010 and 2015. With 5.7 million small to medium enterprises (or SMEs) operating in the UK in 2018, that equates to a potential of 3.9 million businesses facing some kind of dispute last year. 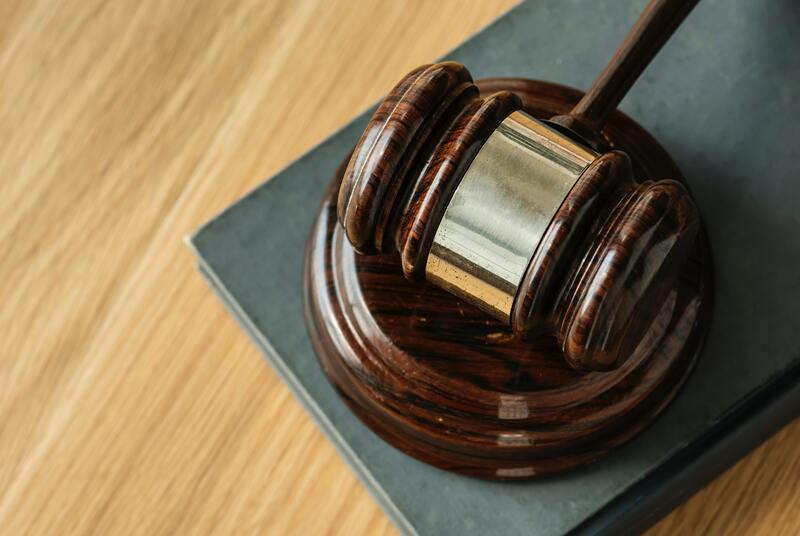 A brand-new study asked SME owners about their experiences with legal action, in which two in five (40%) respondents said they have had to escalate issues to take legal action against other parties. Just under a third (29%) said that other parties have taken legal action against them. Most commonly escalated are late-payment disputes, in which court is assumed to be the only means of resolving these issues. The Business Arbitration Scheme by the CIArb offers an alternative to these costly, and often unnecessary legal proceedings. The scheme’s rules ensure that the fixed price of £1,250 (plus VAT) includes the appointment and proceedings of the arbitrator, as well as promising a legally binding Award within 3 months. This new study has also found that between the hefty price tag, and the high likelihood of litigation, disputes are of serious concern to SMEs. When asked “What issues do you face at work or personally?” One in five (20%) SME owners and MD’s admitted that they worry about facing legal action and view it as a serious issue for their company. While one in five (20%) specified that legal action was a concern, two thirds (66%) of respondents said that they are generally worried about the increasing cost of doing business, which often involves negotiating and resolving disputes. It is no surprise that these issues are worrying business owners, especially given that statistics show that eight in ten (80%) companies will fail during their first year, as is indicated by data taken from Company House. Many of these businesses are unaware of how much they could save by using the Dispute Appointment Service offered by the CIArb at https://www.ciarb.org/das/. The service includes light touch administration and support, as well as advice from the huge pool of CIArb members to achieve resolution within 90 days for £1,250 (plus VAT). As well as looking into the issues of concern to SMEs, the study also probed business owners on their attitudes towards disputes and legal action. Unsurprisingly, the majority of respondents said they are keen to avoid legal action, with more than four out of five (86%) saying that they actively seek to resolve disputes before they reach the litigation stages. Despite this view of dispute avoidance and early resolution as desirable, the level of knowledge surrounding how to negotiate disputes without litigation is shockingly limited. When asked about how they would choose to deal with disputes, half (50%) of respondents admitted to not knowing about alternative dispute resolution (ADR), or the practices it refers to. Despite many SME’s admitting that their knowledge of negotiating and mediating disputes is somewhat lacking, many did say they are keen for their enterprises to develop this skill. Training internal staff in dispute negotiation and mediation techniques can be much more cost-effective and time-saving than protracted litigation, and many business owners seem to agree. Three in five (60%) of the respondents to the new study said that they would be interested in training in these areas and learning the techniques that could assist them. When questioned on their willingness to spend money on this training, SME owners were willing to pay up £645 on average. They were also willing to dedicate time to this training, with over a third (36%) saying they think the appropriate time to spend would be a full day seminar rather than a half day. The lack of knowledge surrounding dispute avoidance and resolution does not just extend to the ability of small businesses to negotiate for themselves. There is also a distinct lack of awareness of the representation that is available, even in non-legal disputes. The CIArb is a worldwide recognised dispute resolution service that offers a complete range of alternative dispute resolution methods to resolve disputes, with 16,000 members who form a wide range of qualified and experienced professionals. Ensuring that the following wording is included into the contract will allow the CIArb to help the CMEs with putting appropriate arrangements in place: Any dispute, controversy, or claim arising out of or in connection with this contract, or the breach, termination or validity thereof, shall be submitted to the Chartered Institute of Arbitrators (CIArb) and settled by final and binding arbitration in accordance with the Rules of The Business Arbitration Scheme. Judgment on any award issued under this provision may be entered by any court of competent jurisdiction. Founded in 1915, CIArb is a global charity with 16,000 members in 133 countries.